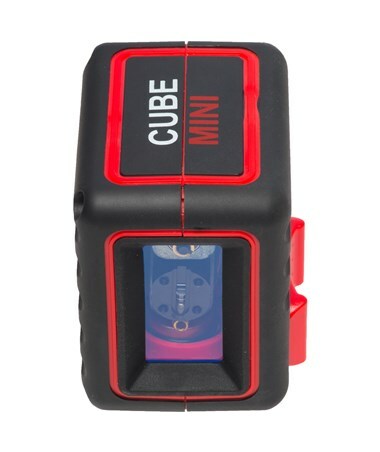 The AdirPro Mini Cube Cross Line Laser is a self-leveling line laser with a working accuracy of 3/16 at 30 feet (± 5mm at 10 meters). 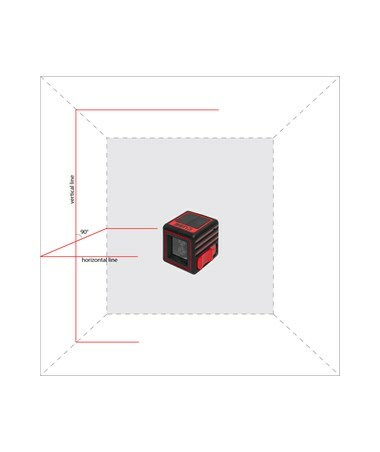 Featuring one laser diode with T-prism, it produces lower brightness and shorter lines but still fits normal interior work applications. 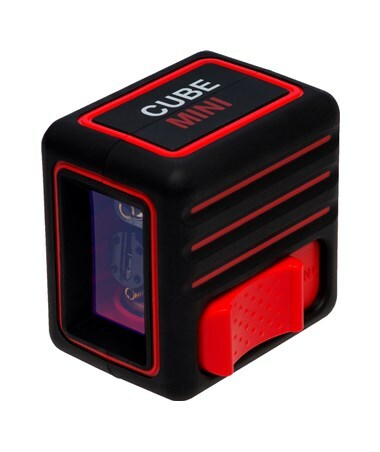 Using a self-leveling pendulum system, the horizontal and vertical lines projected by the Mini Cube forms a 90-degree angle. 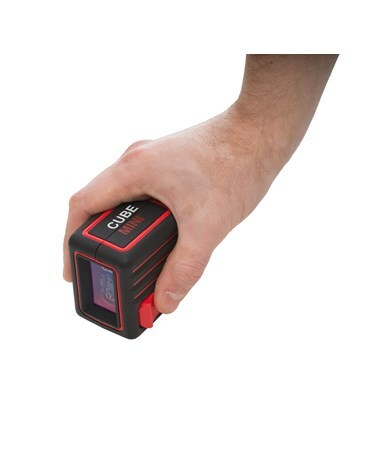 This AdirPro cross line laser has an extra-large single power switch and it automatically levels when switched on. 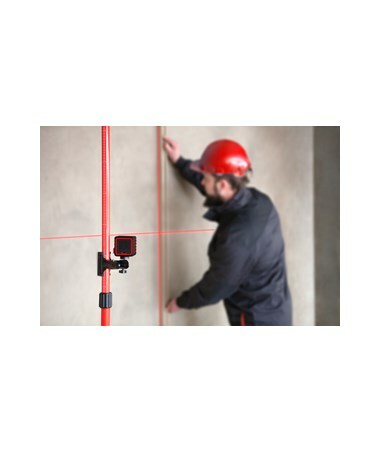 When out of level, the laser lines blink to notify the construction professional inclinations that are over 3 degrees. 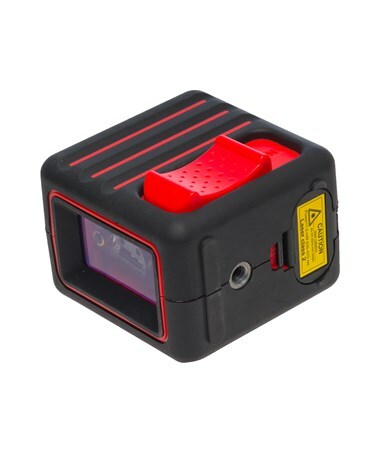 This compact line laser level is powered by two AA batteries and operates up to 20 hours. It comes complete with a 1/4" thread that can easily be mounted to a tripod. 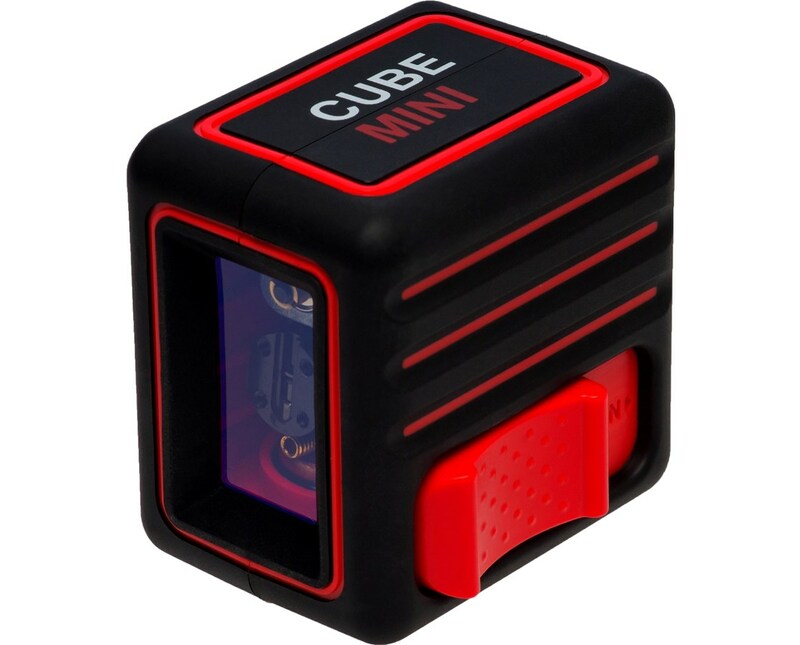 The AdirPro Mini Cube Cross Line Laser is made from hard plastic and is coated with ribbed rubber for added grip and protection from shock. The interior laser system is protected by a locking compensator that automatically activates when the device is turned off.